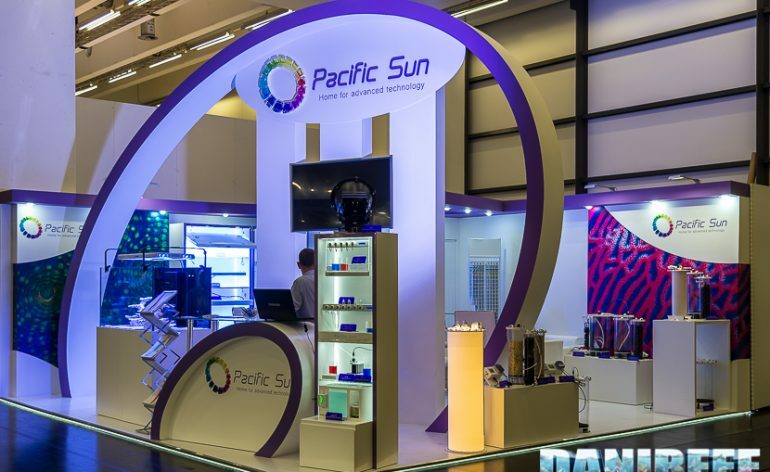 Pacific Sun has been known at first for its ceiling lights, and starting from here they developed and presented plenty of new products, occupying almost all of the existing market niches. 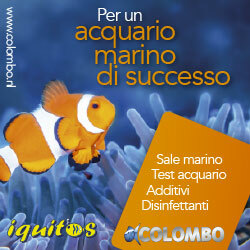 In Italy was initially imported then abandonded. 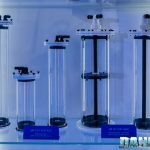 Actually the distribution in our country has been resumed by Aquariatech, so all the products we are presenting, sooner or later, will be available on the shelves of your favourite shop. 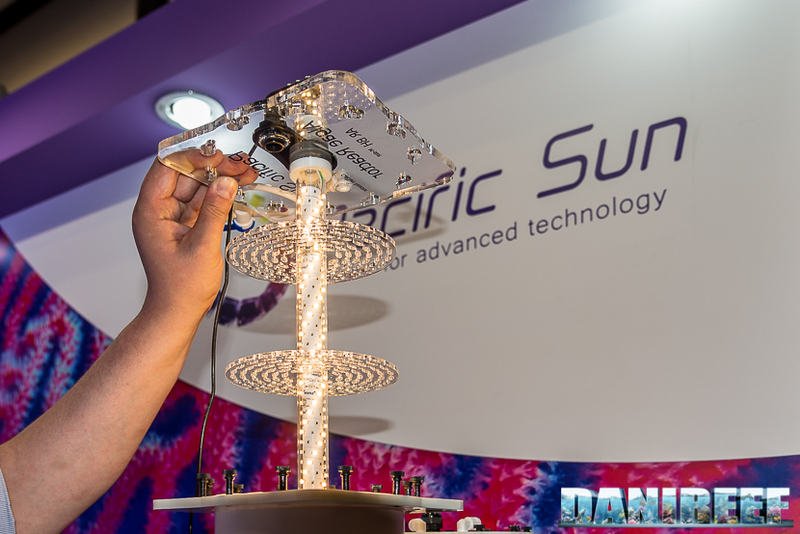 Let’s start watching the ceiling lights, hybrids and leds, and a great surprise that Pacific Sun showed in the fair. 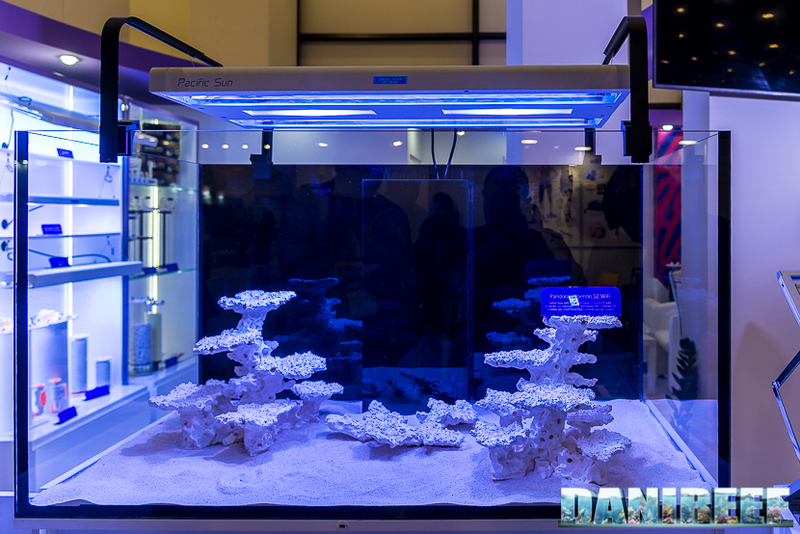 A wonderful ceiling light mixed LED and T5, to give the best of the two worlds. 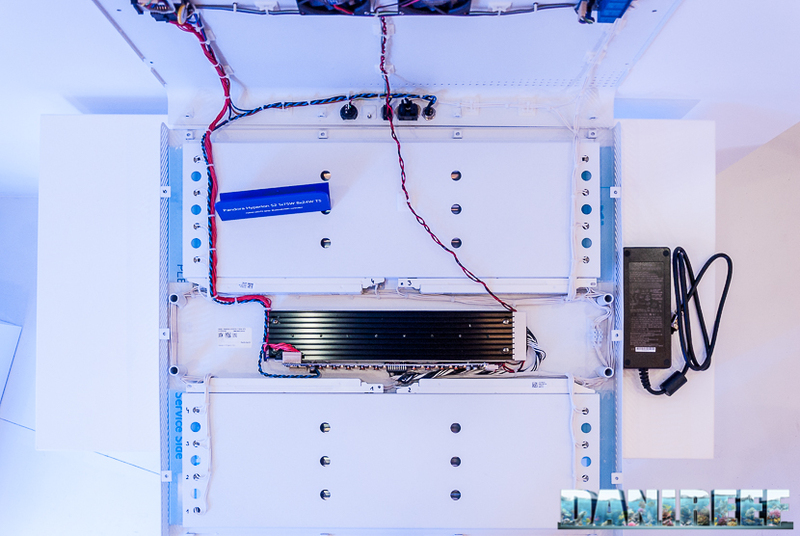 The ceiling light is straight, easy, provided with 4 T5 lights and, in the setup we saw at the fair, also two cluster LED. 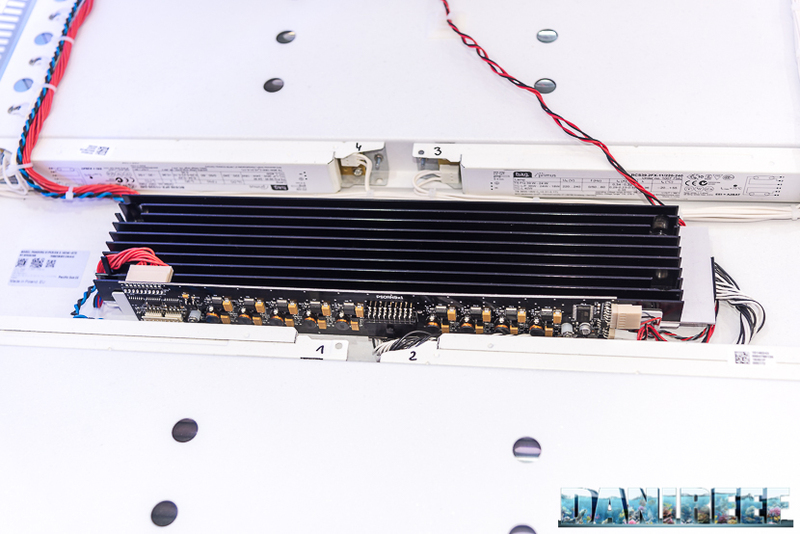 On the top we can appreciate the 4 cooling fans for the LED. 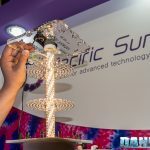 What is most surprising is the fact that, inside their booth, Pacific Sun showed an uncovered ceiling light to let us admire the constructive care and the materials used inside. 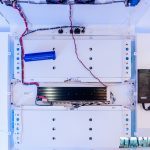 In the pictures, the uncovered ceiling light and the closed one are two different versions, anyway we can appreciate the constructive simplicity of the whole. 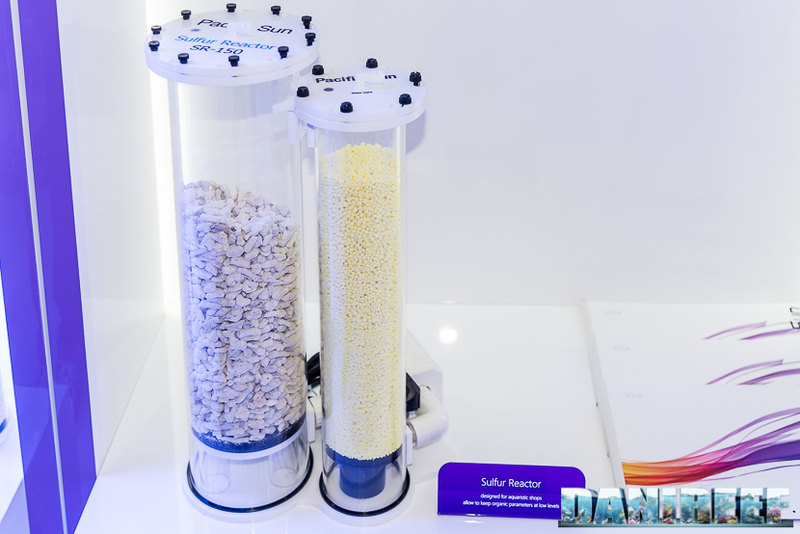 With the name reactors we indicate a category of products which serve plenty of needs. 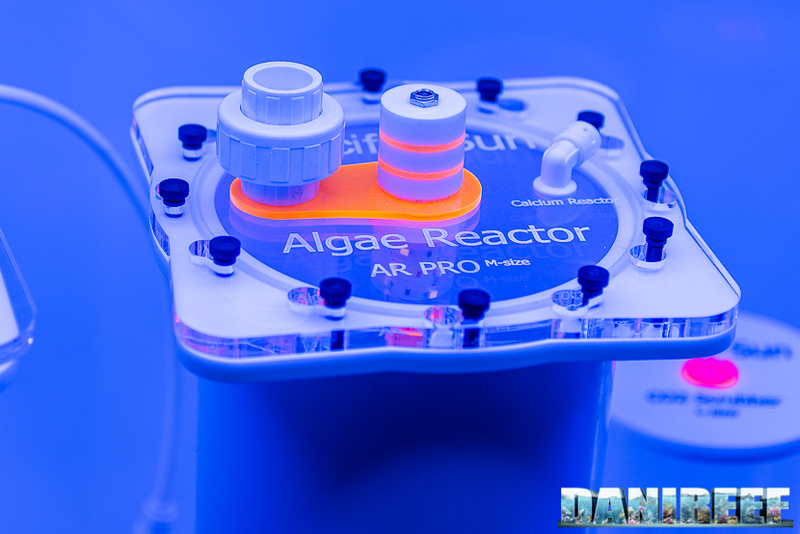 We start from the fludized bed reactors. 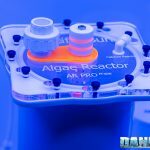 A sulphur loaded reactor, on which we will need to discuss another time. 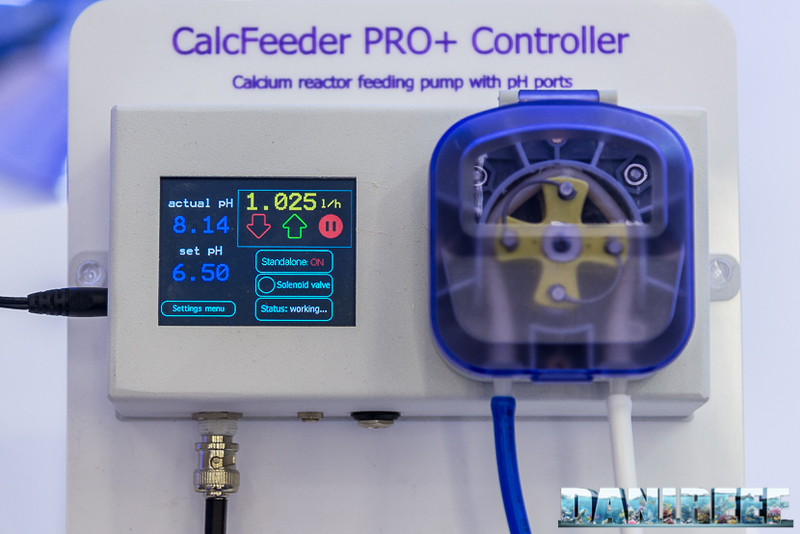 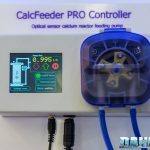 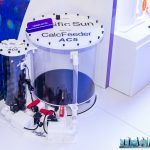 And of course their calcium reactor, CalcFeeder, with a perfect built-in optical regulation system. 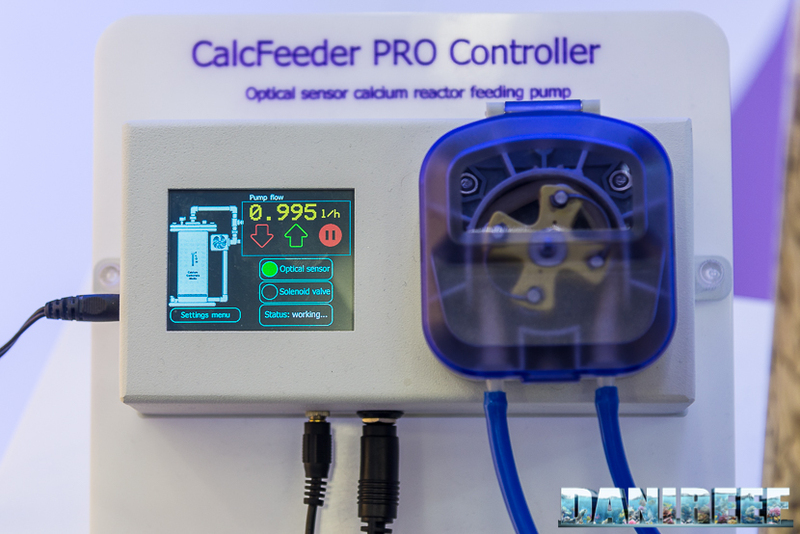 A smart system that, instead measuring pH, measures CO2 through an optical sensor and consequently adjusts the reactor. 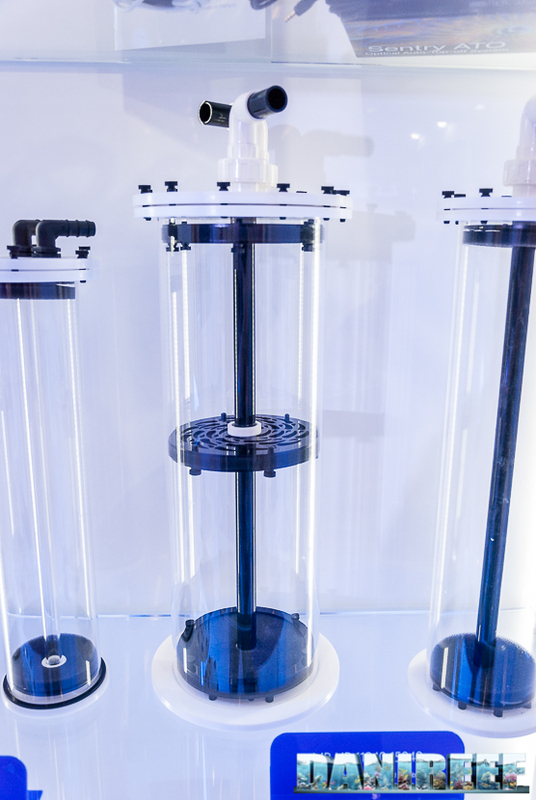 For more, certain models are provided with a degassing tower to improve its efficiency. 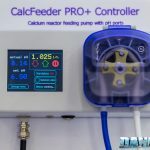 With the increase of the Balling method attached (read here for more information about the method – in italian), the request of qualilty dosing pumps has grown. 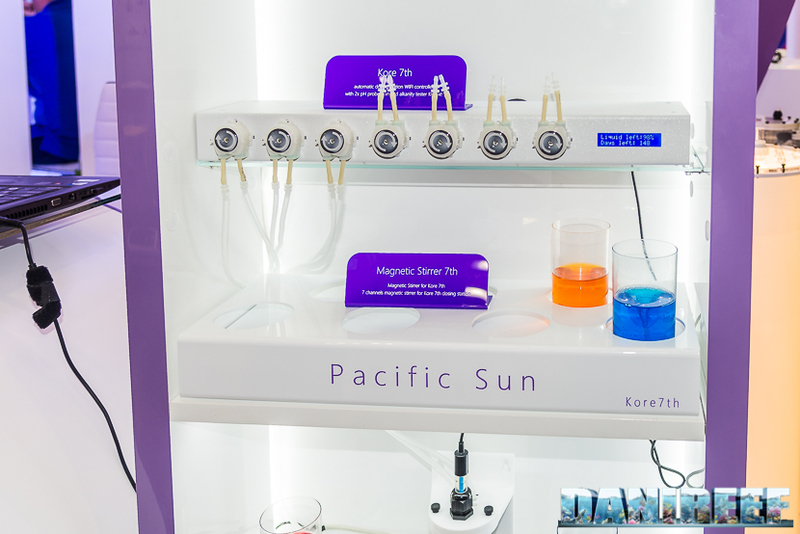 That’s why Pacific Sun intoroduced Kore T5, with 5 dosing pumps and now also Kore T7 with 7 indipendent dosing pumps. 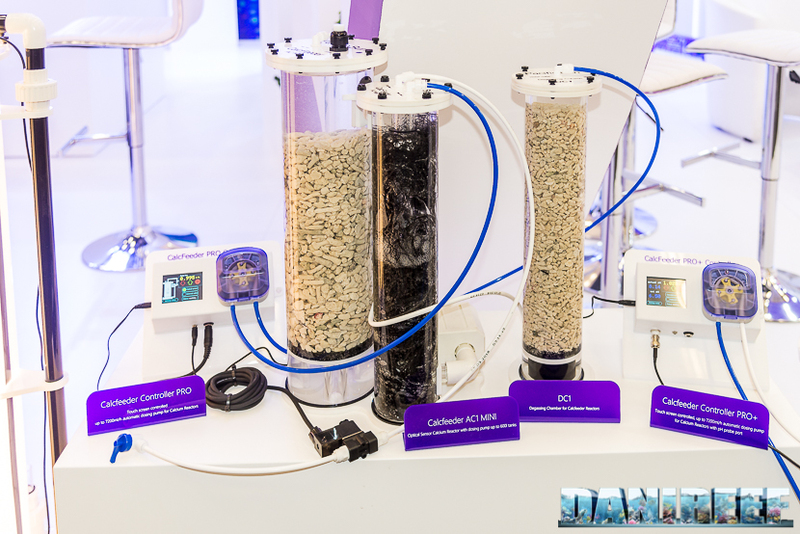 Some of them can be used for the automatic top-off of evaporated water. 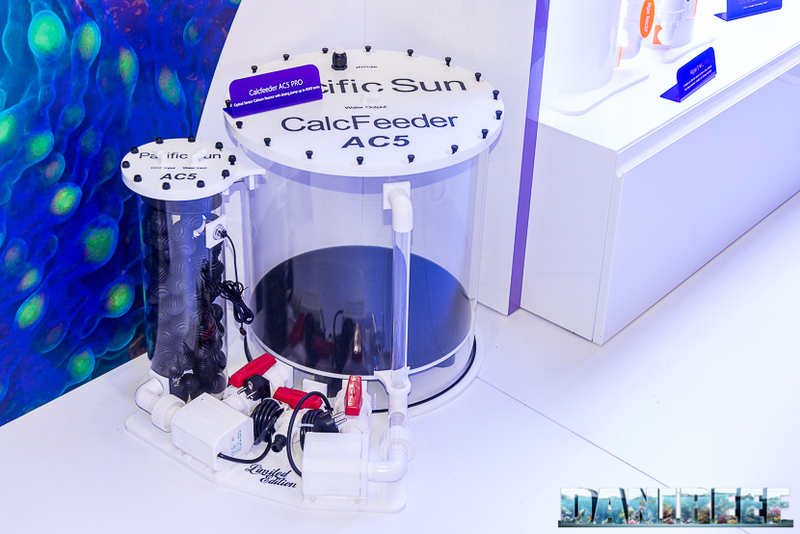 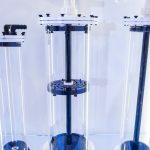 Other than that, on show there was also the easy sentry ATO for the automatic top-off, and one of this years’ innovation, Kh-lab, that allows a continuous reading of alcalinity value in aquarium. 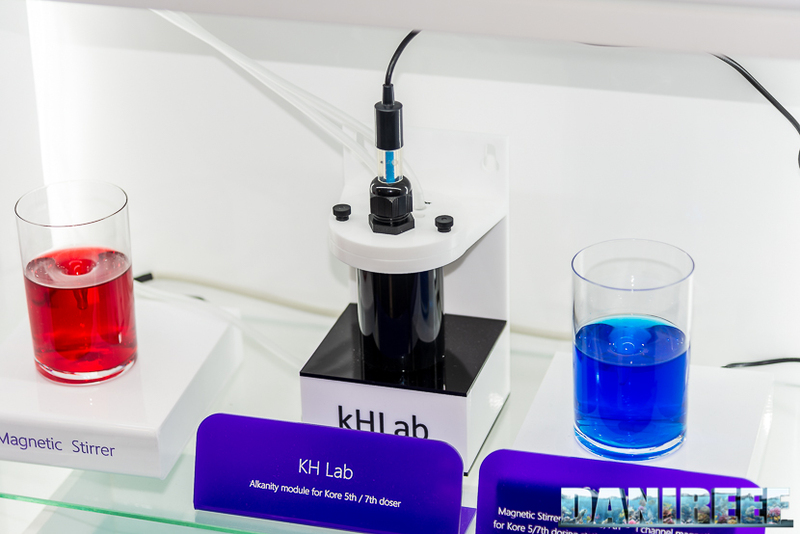 KH Lab in fact is a monitoring system of alcalinity. 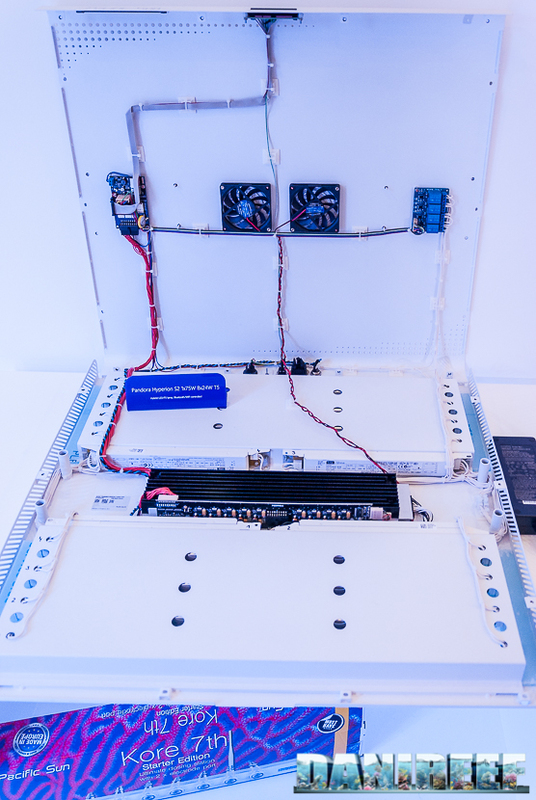 This device must be linked to one of the dosing station we mentioned above. 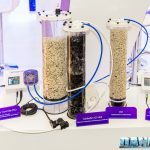 And it will be compliant, according to the company, with all the future dosing stations as well. 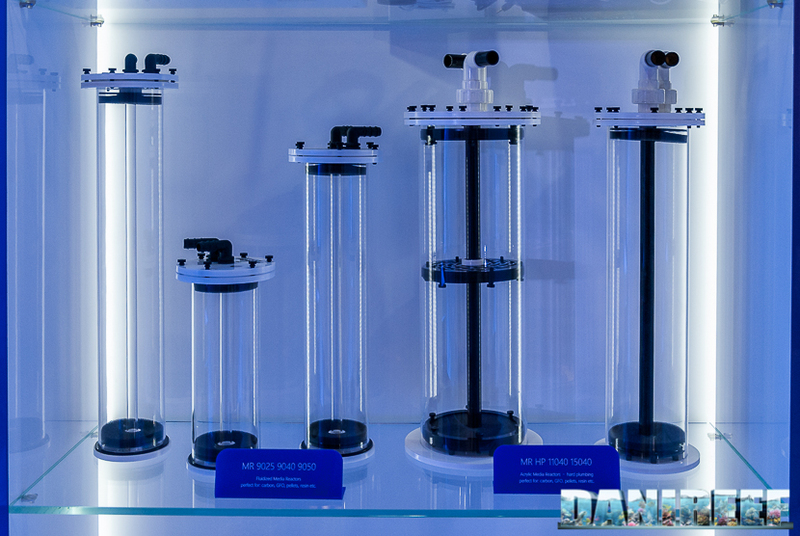 To work KH Lab needs three dedicated dosing pumps. 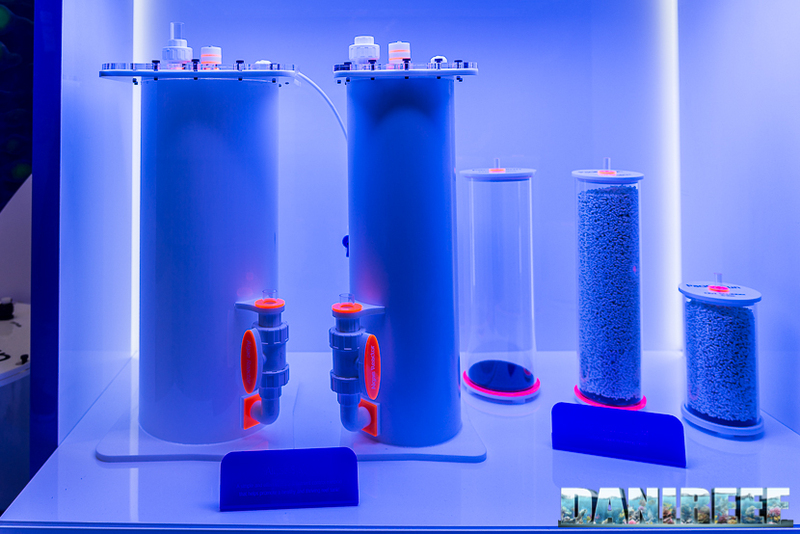 The first must pull out some water from the aquarium, the second one puts the reagent, and the last one ejects the resulting solution. 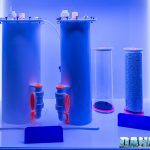 So with a Kore 5th you can have two free channels for other supplements dosing, instead with Kore 7th you have four free pumps to use a complete Balling system. 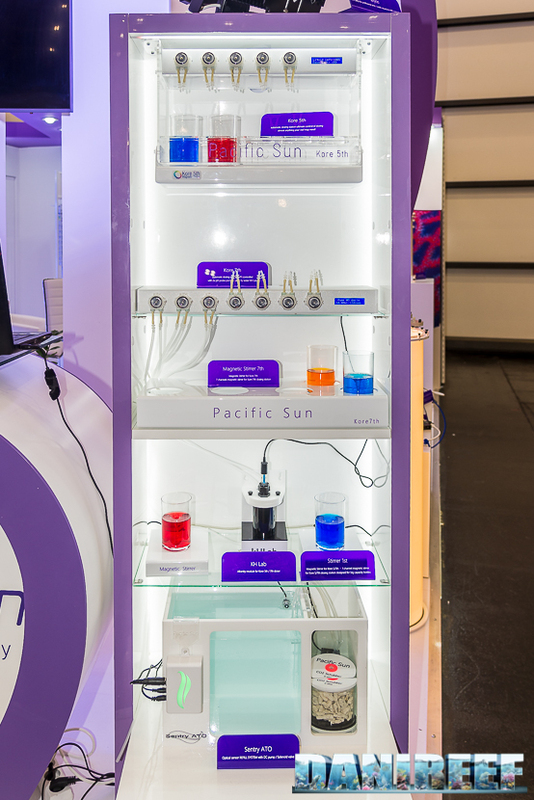 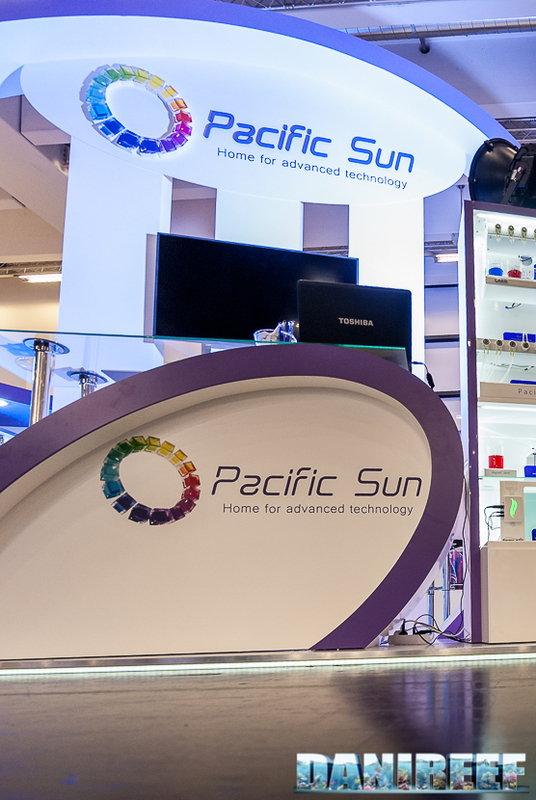 For further informations about Pacific Sun’s products we give you their official website. 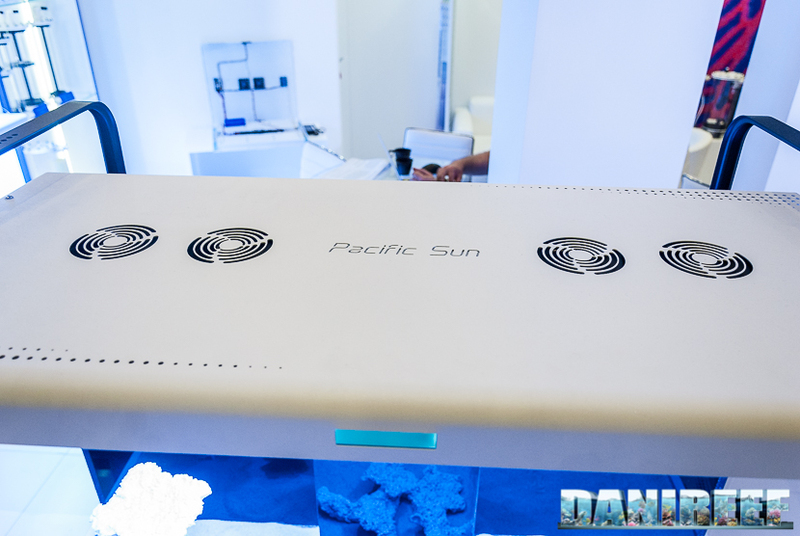 Pacific Sun’s products are, as we said before, distributed in Italy by Aquariatech, of which we give you their website. 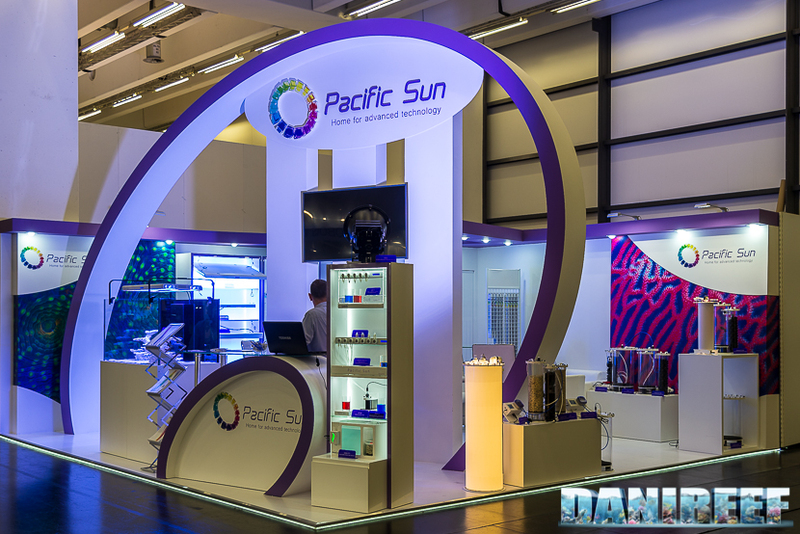 We invite you also to read our Editorial about the fair to know our point of view about Interzoo and to have a full list of all the other booths that we have, up to now, visted and commented.